Overnight buses are available from Ahmedabad (400km) to Bhuj. 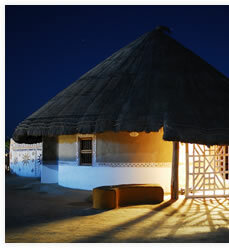 Shaam-e-Sarhad village resort is situated towards Northern Kutch of Hodka Village. The nearest Airport is Bhuj (65 km). There are daily flights to and from Mumbai. Kandla is about 150 km away and also has daily flights from Mumbai. Jet Airways Domestic Airlines has daily flights between Mumbai &Bhuj, both ways. 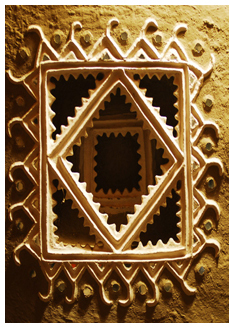 There are daily trains from and to Mumbai and Delhi via Ahmedabad as well from Bhuj. Gandhidham, which is about 80 km from Bhuj has weekly trains connecting it several parts of the country including Pune, Bangalore, Trivandrum, etc. Ahmedabad is well connected by air and train with the rest of the country. From Ahmedabad, Bhuj is about 350 kms away. There are comfortable overnight sleeper buses from Ahmedabad to Bhuj and back which ply daily. 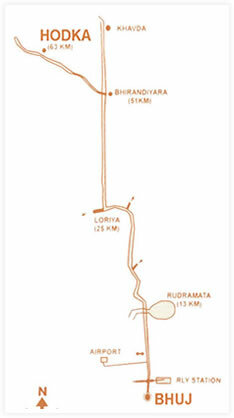 Hodka village is 63 km(One and half hour) far from Bhuj.